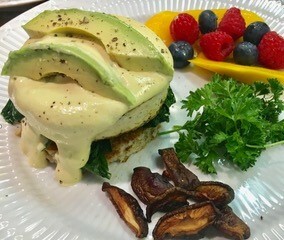 The Incredible Edible Vegan Egg: Explore a variety of nature's perfect substitutes for eggs from aquafaba used in French meringue cookies to a Sunday Brunch Tofu Benedict. We'll make the recipes and preview what products work best, then discuss how to veganize traditional egg-based recipes. Bring your favorite recipes to class and we'll veganize them. Supplies are limited so online registration is required.